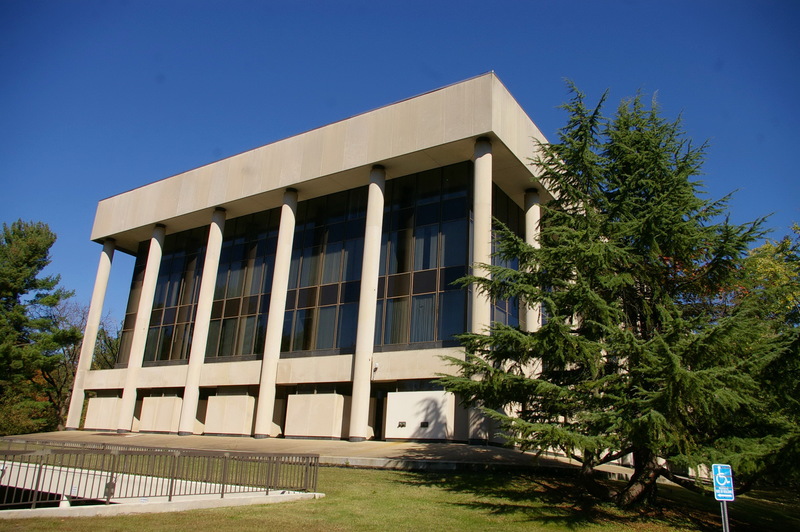 Description: The building faces southeast and is a four story concrete and glass structure. 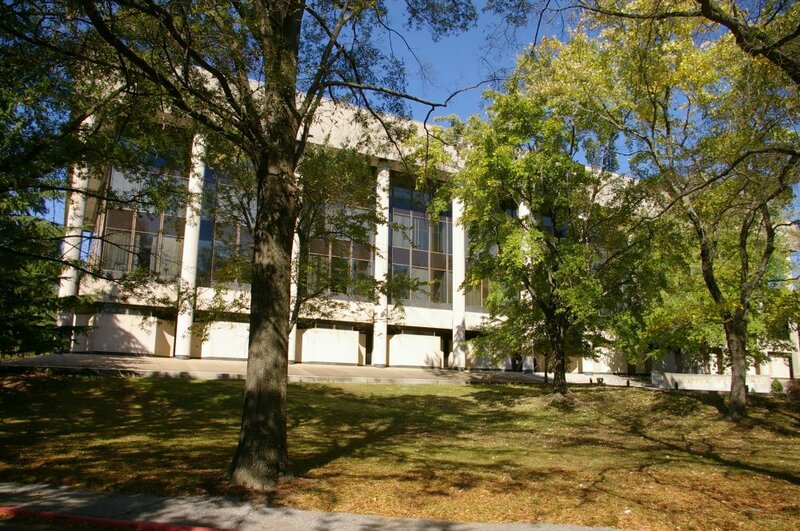 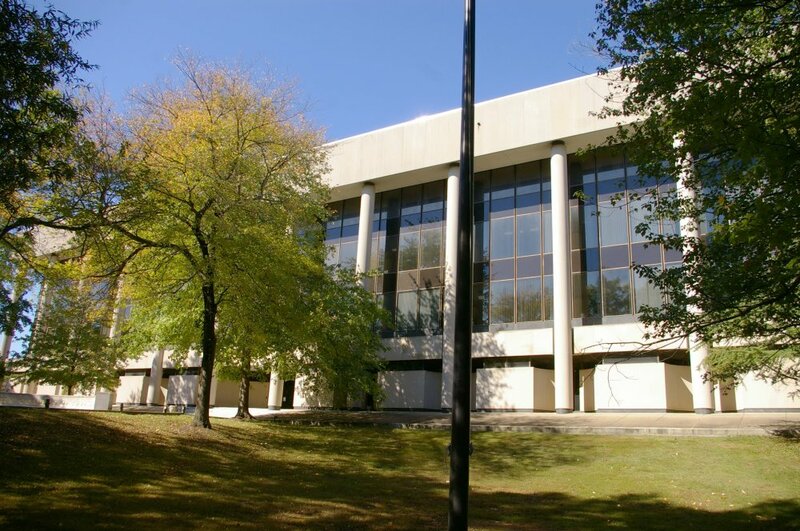 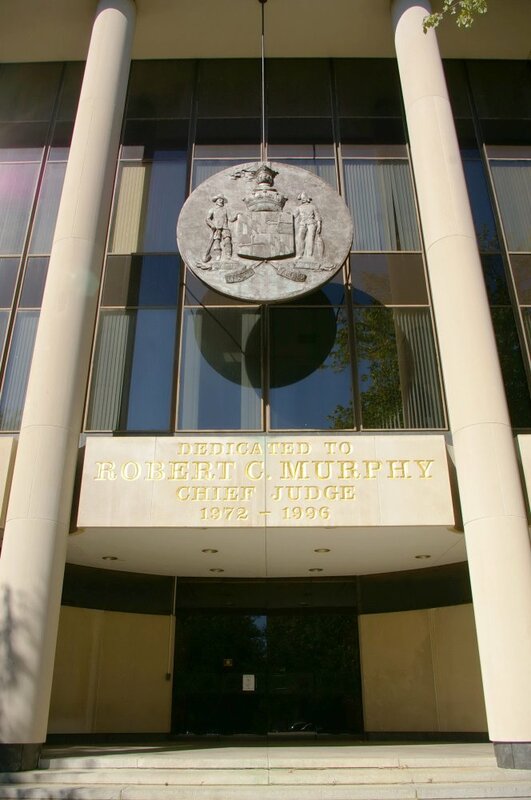 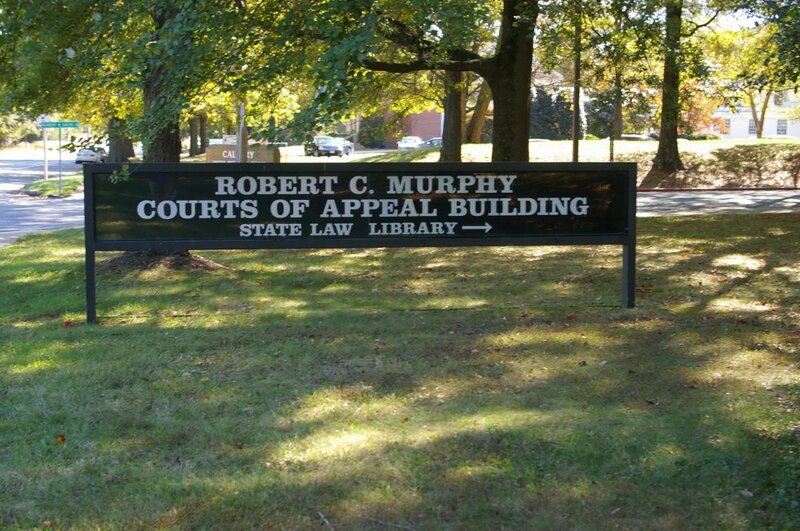 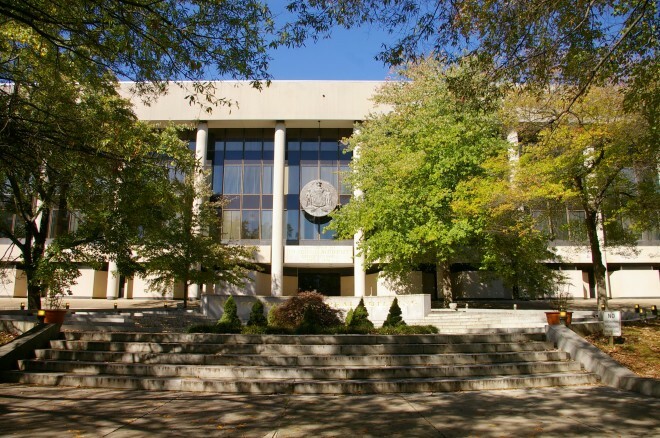 The building is located on landscaped grounds.The building is named as the Robert C. Murphy Courts of Appeal Building .The building houses the Court of Appeal, Court of Special Appeals, Chief Judge of the District Court, Court Information Office, Administrative Office of the Courts and the Maryland State Law Library. 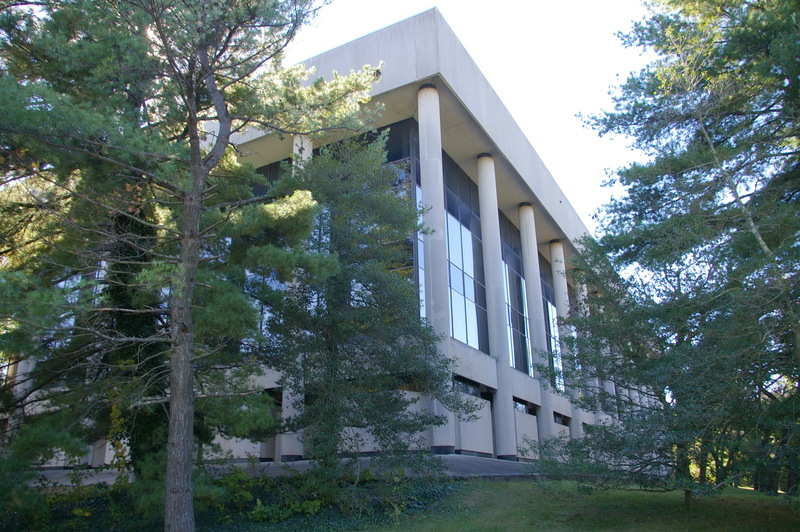 The modern building features glass and open space. 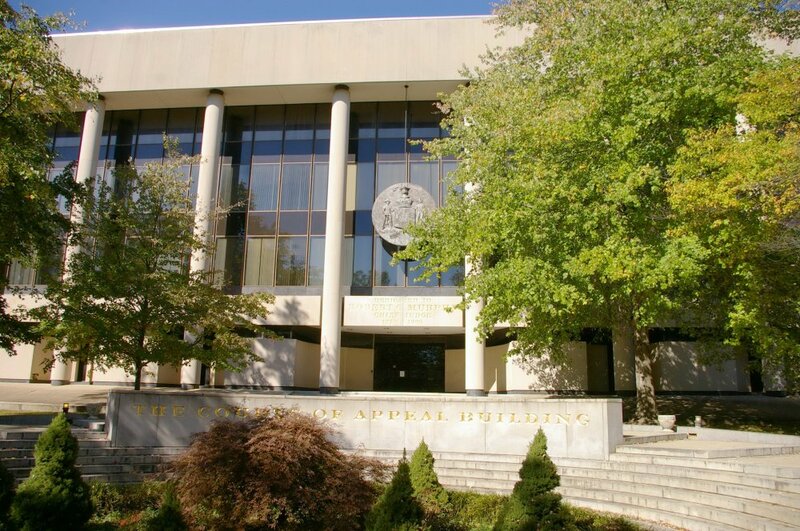 The interior paneling and mahogany bench of the Court of Appeals Chamber were salvaged from the old building located next to the State House. See: The Court of Appeals Building is located in Anne Arundel County.